This book deals with the impact of the sociocultural environment on body-image in Western consumer culture. 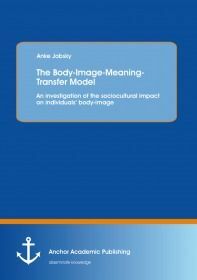 Based on McCracken’s (1986) meaning-transfer model, the author has created a body-image meaning-transfer (BIMT) model. It suggests how cultural discourse and interactions can shape individual consumers’ understanding of socially ‘good’ and ‘bad’ bodies. It emphasizes the notable impact of mainstream advertising, media, and celebrity culture that commonly promote a thin-and-muscular beauty-ideal, and the process of normalization which implies feelings of guilt, anxiety, public observation, and failure. Both can ultimately lead to negative body-images and body-dissatisfaction among individuals. In contrast, alternative campaigns against the current beauty-ideal and towards healthier body-images are introduced. Two focus group discussions among young adults from the UK and Germany provide insight into the timeliness of the topic concerned.